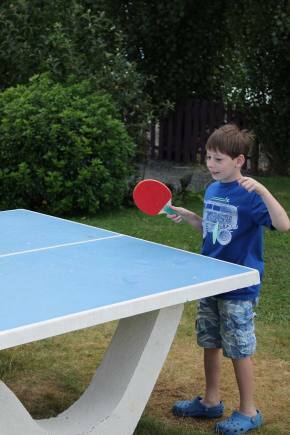 Emerald Coast Gites is a fabulous family-friendly holiday complex where you really can leave everything behind as the owners have thought of it all. Borrow sterilisers, monitors, baby seats, baths etc… and if there is anything they haven’t got they will happily source it for you. 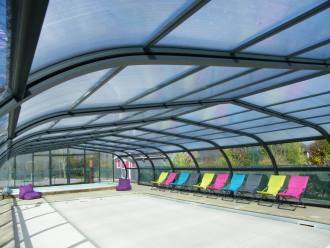 The property itself is set in an extremely child friendly environment, the children have access to the swimming pool and toddler pool, heated and covered so you can swim whatever the weather. 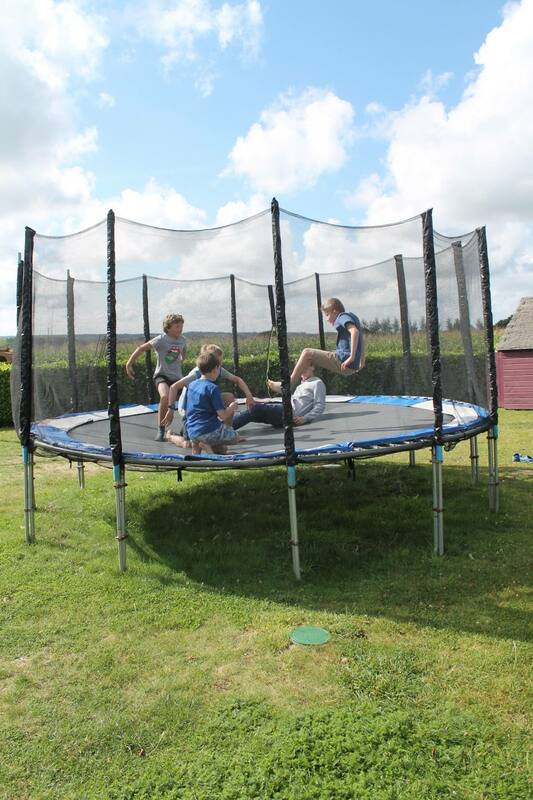 There are plenty of toys and equipment to enjoy including a soft play area, outdoor play centre, mini football pitch, trampoline, ride ons and a wooden playhouse. 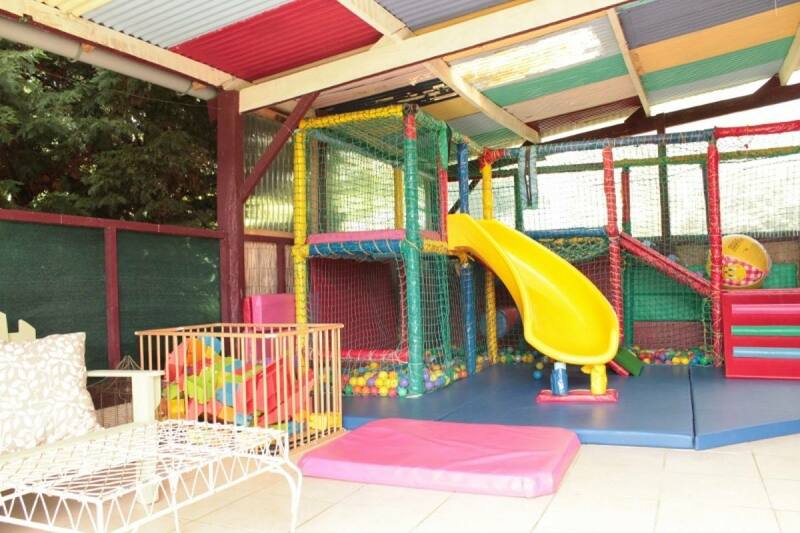 The soft play area is perfectly situated for the adults, by the bar terrace! So grab a coffee or a glass of wine and sit back and relax whilst the children are entertained and socialising with other guests. 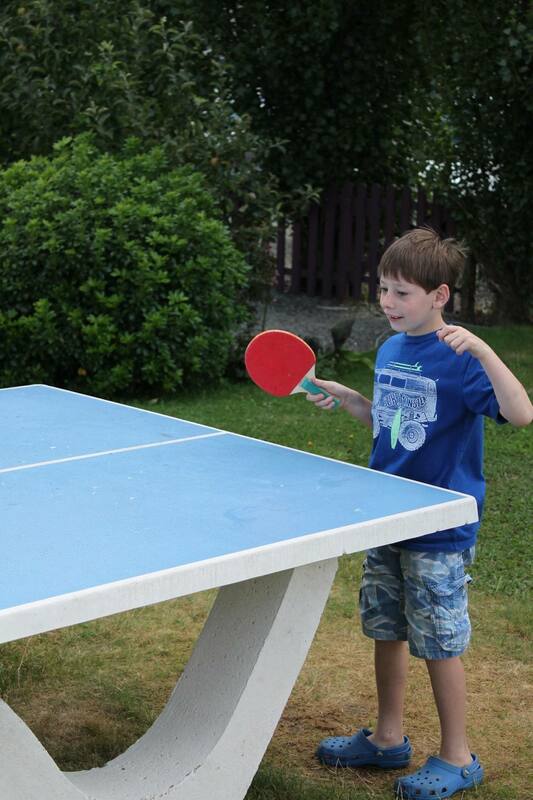 You can also enjoy the games room with pool table and table tennis and the petanque pitch. 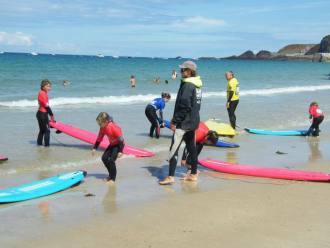 If organised activities are your thing, there are opportunities to try surfing and hockey or a trip to the beach with the other guests, or maybe choose to join in with the pizza and movie nights. Want to truly relax and not cook? 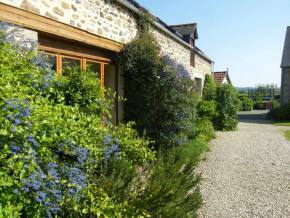 Take advantage of the ‘plat de jours’ delivered to your gite, or in the courtyard with other guests. There are home-cooked toddler meals available too which is great if you have spent the day at the beach. There is a fully equipped kitchen and BBQ if you choose to eat in or dine alfresco in the comfort of your own surroundings. This is a great property for large families or groups of friends and there is something for everyone here to enjoy. 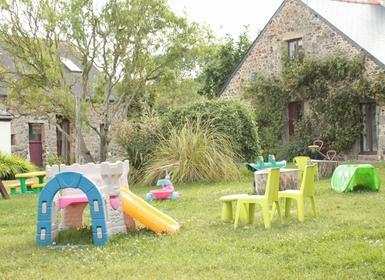 A spacious four-bedroom, two-bathroom gite with private garden suitable for families or small groups. 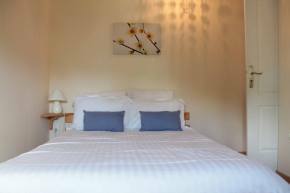 Sleeps 8+, a travel cot can also be provided. 4 bedrooms (2 doubles, 1 with en-suite, 1 twin and 1 bunk). The twin beds slide under each other. 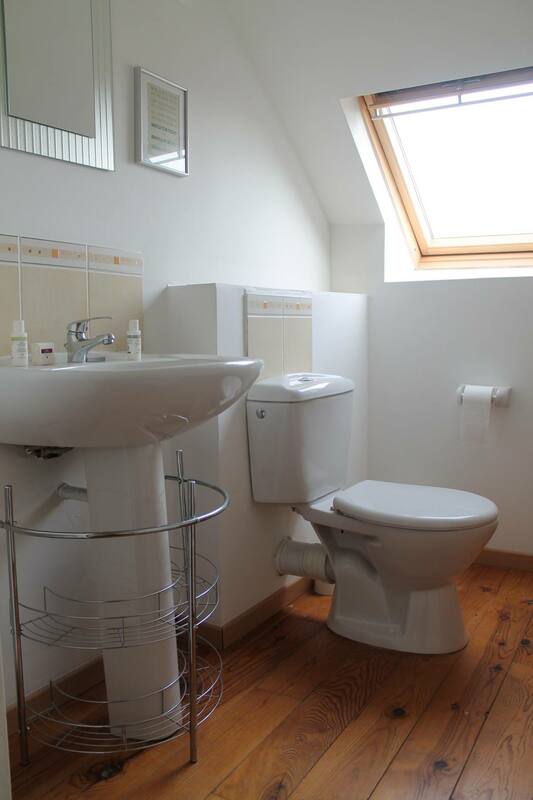 Two private bathrooms: one is en-suite with shower; the other is a family bathroom with shower and bath. Open plan kitchen, living and dining area, with French windows to the garden and to the communal play area in front of the property. Private garden with seating area and BBQ for al fresco dining. St Malo ferry port is under 50 kilometres away and is served by Brittany Ferries from Portsmouth and Condor Ferries from Poole, Weymouth, Jersey and Guernsey. Playing on the golden sands at one of the many local beaches - The beaches of the Emerald Coast are perfect for young children. They are clean, sandy and beautiful. The closest beach is Sables D’or Les Pins, which is 10 kilometres, but within a 20 minute drive you will find lots and lots of beaches. Here are a few worth a mention: Pleneuf Val Andre, St Cast Le Guido, Caroual Plage, St Pabu, Petit Mont St Michel, Erquy, St Jacut de la Mer. There are also beaches that are good for body boarding, surfing, rock climbing and foraging/crabbing. Just ask us and we will point you in the right direction. Fort la Latte, Cap Frehel - A medieval fort with spectacular views over the coast. A must do. You can climb all around it. Toddlers will need to be hung on to but it is beautiful. Jugon les lacs - A Petit Cite de Character which is gorgeous with a lake with pedaloes, kayaks, catamarans and dinghies for hire. They provide all the safety equipment. 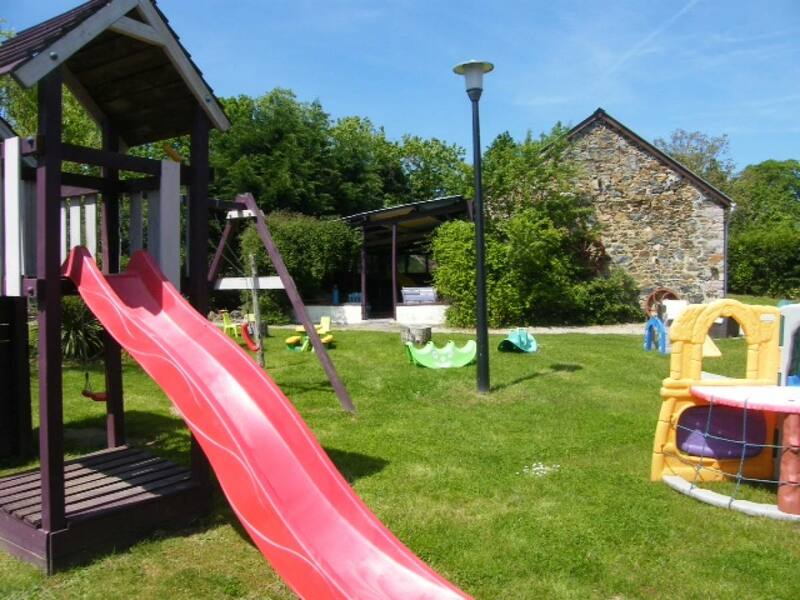 You can also do mountain biking or just relax at one of the numerous picnic areas or in the picturesque market square and enjoy people watching. New in 2014 is an indoor swimming complex with small slides and splash areas suitable for toddlers. Amoripark - A theme park with an indoor and outdoor aqua park suitable for toddlers. Really lovely place and quite old fashioned. No huge roller coasters, but things like pedaloes, go karts and bouncy castles. Velo Rail, Medreac - This is really unusual. A disused train track, with bikes each side, a net in the middle for the kids and off you go. Babies can be attached in their car seats. It is impossible to fall off, don’t worry. 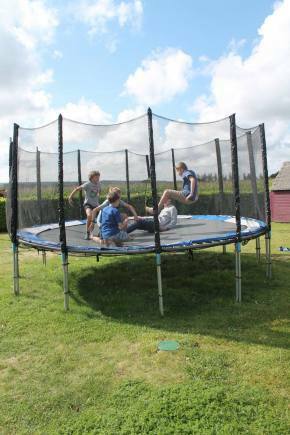 Go as fast as you can, the kids love it, just watch your picnic does not fly out! Aquarium, St Malo - The Grand Aquarium, St Malo is a brilliant Aquarium with thousands of different species of fish including sharks, sea turtles and piranhas! Always a favourite. There is also a submarine ride. Mont St Michel - This is a world heritage site and is magnificent. A bit of history and culture for mum and dad and the little ones love it too as it looks just like a princess castle! Dinan and St Malo - Two beautiful medieval towns, with ramparts that can be walked around, a little train that will tour around, ports with boat rides, and great shopping.